947 Pleasing house, of 235mq. 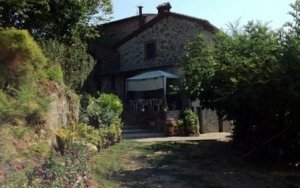 near the Corsonna river with terraces and gardens that complement the well. Pleasing house, of 235mq. near the Corsonna river with terraces and gardens that complement the well. 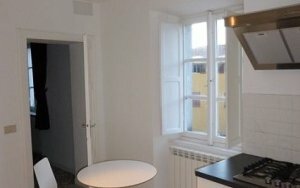 This semi-detached building, set on 3 levels, has been recently completely renovated. Ground floor – on this level is a private enclosed courtyard area, the main entrance, leading to hallway, kitchen, adjacent room used as pantry, living and dining room both with views of the river and bathroom..
Former Cellar – We access this level via a staircase from the terrace on the ground floor, this space is used as an informal guest quarters with kitchen, living / bedroom and bathroom. From this floor there is access to a small terrace, there is a pathway that leads to unexpected garden / orchard along the river bank. 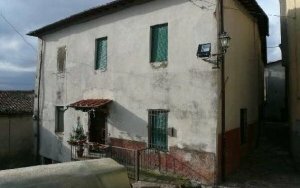 Pleasing semi-detached house in prestigious area on the outskirts of Barga, Lucca. 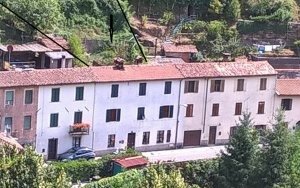 A perfectly habitable house in the village of Ponte di Catagnana very near to Barga, Lu. A centre terrace house with beautiful mountain views, set on 3 floors with terraced gardens.